For our new Rick Steves Iceland guidebook, Rick and I worked with co-author Ian Watson to figure out the best day-trip options from Reykjavík. Our “top 4” includes the Golden Circle, the South Coast, the Blue Lagoon, and the Westman Islands. This post (part of my Iceland blog series) is a quick-reference guide for how to prioritize your limited time. Reykjavík is a fun city, and the perfect place to spend the night on a visit to Iceland. But in-town sightseeing options are modest, and you’ll get a plenty good look in the morning and evening. Especially on a speedy “layover” visit, getting out into the epic Icelandic countryside should be your top priority. The key is being selective, and these four day trips from Reykjavík clearly rise to the top. The complete details for each one — including self-guided driving and walking tours, and lots of restaurant and sightseeing recommendations — are covered in our Rick Steves Iceland guidebook. The quintessential Icelandic day trip is a 150-mile loop east of the capital — figure about four hours of driving, plus at least another four or five for sightseeing stops. 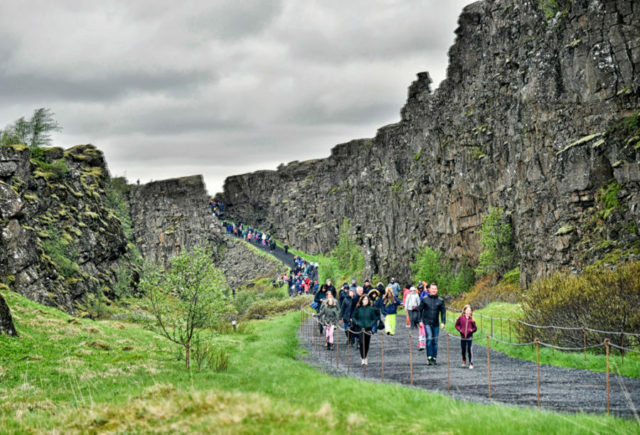 The Golden Circle route curls through a representative sample of Iceland’s lunar landscape as you link up three main destinations. The gorge at Thingvellir (or “Þingvellir” in Icelandic) is worth a visit for reasons both geological (as a place where you can see the European and North American tectonic plates pulling apart) and historical (as the site of the annual Great Gathering of the Icelandic chieftains — or Alþingi — dating back to the 10th century). 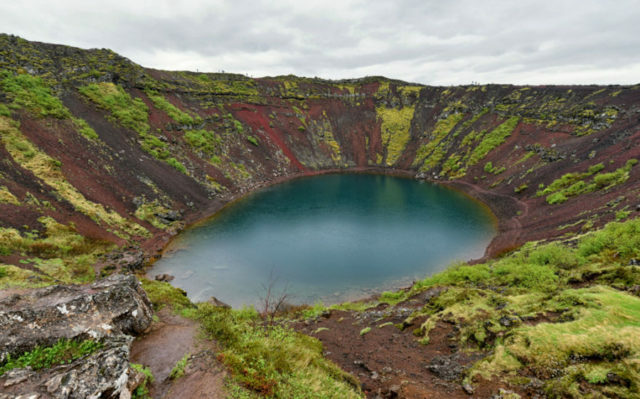 The Golden Circle loop also passes some minor sights (including the historic church at Skálholt and a climbable crater, Kerið), some good restaurants, and four different thermal bathing opportunities. All in all, it’s a handy “Iceland in miniature” look at this unique land. 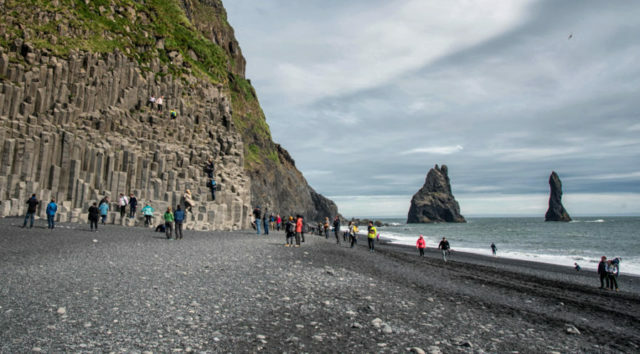 The most accessible slice of spectacular Icelandic coastline is about two hours’ drive south of Reykjavík — on a 40-mile stretch of seafront bookended by the stunning Seljalandsfoss waterfall and the evocative Reynisfjara black sand beach. 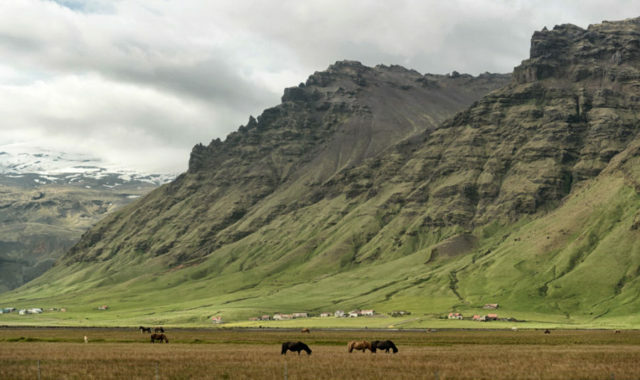 While it’s a bit farther from the capital (figure about five hours of driving round-trip, plus at least another four or five for sightseeing), it offers an even more epic look at Iceland’s scenery. The South Coast is an achingly beautiful terrain of bald, craggy mountains blanketed in green, giving it an almost Celtic feel. Looming above it all are mighty, currently dormant, glacier-covered volcanoes, including the famous Eyjafjallajökull, which grounded European air travel in 2010. 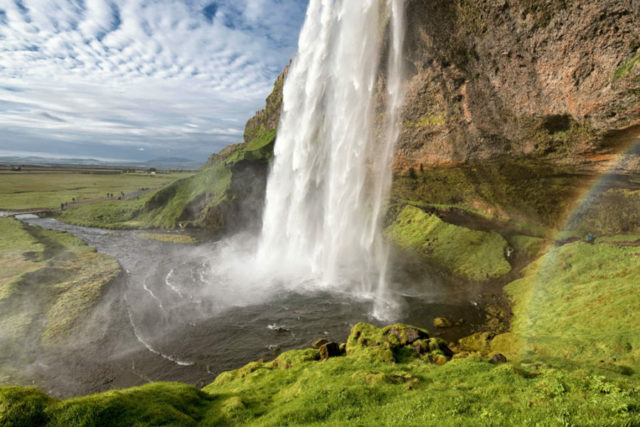 Along the South Coast, you can visit two different thundering waterfalls — including the spectacular Seljalandsfoss, where soggy tourists can hike around behind the falls. 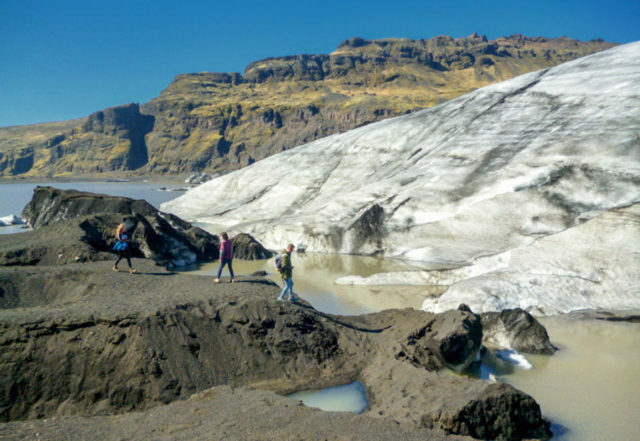 At another handy pullout, a 20-minute hike gives you the opportunity to get up close to a gritty glacier (Sólheimajökull) — the closest glacier opportunity to Reykjavík. The settlement of Skógar boasts another waterfall, and a fine little folk museum. 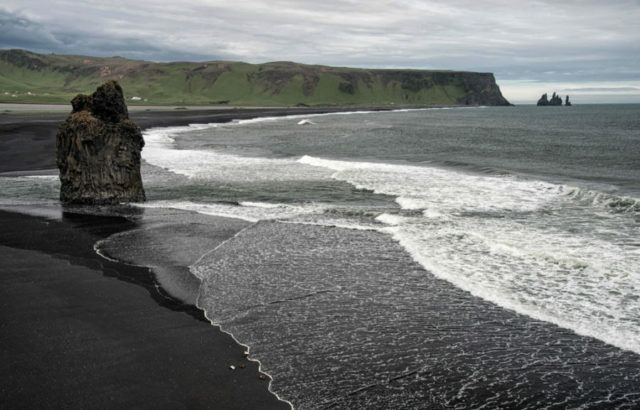 And Reynisfjara is a dramatic black-sand beach, whittled with basalt formations and jagged sea stacks. The South Coast also has a variety of restaurants and other attractions — including the cutting-edge Lava Centre (in Hvolsvöllur), which explains volcanic activity in this part of Iceland. 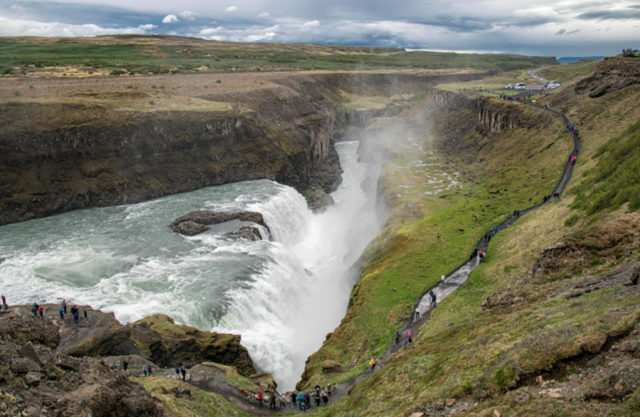 If you have just one day and are torn between these choices, consider this: The Golden Circle offers a tidy variety of experiences on a handy and very well-trod loop with almost no repetition. The South Coast is more outdoorsy, with stirring coastal scenery and a few more substantial opportunities for easy to moderate hikes. It’s a bit farther from Reykjavík, and requires backtracking the same way you came. The choice between these is so difficult that, if I had two days in Iceland, I’d skip Reykjavík entirely to make time for both. Why so low? Because a three-way tie for first seems unhelpful. And the fact is, not every traveler loves the Blue Lagoon. It’s quite expensive ($100 per person at prime times) and requires reservations. It feels touristy and glitzy, with nary an Icelander in sight. And yet, those who love it really love it. If you can afford it and would enjoy a memorable thermal bathing experience, it’s a worthwhile investment. 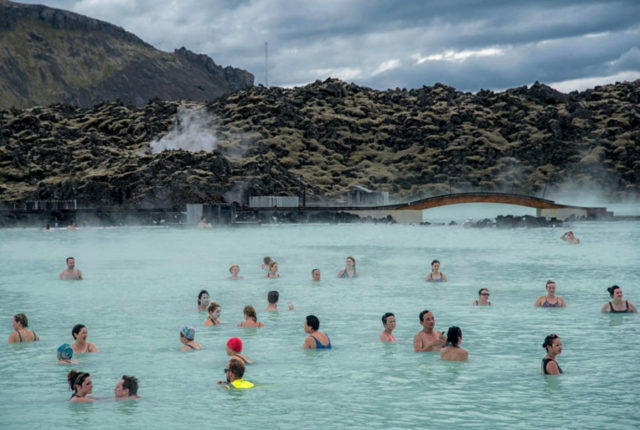 As a bonus, it’s easy to combine the Blue Lagoon with your trip to or from the international airport, so you don’t need to devote an entire day to it. For details (and alternatives), check out my post about the Blue Lagoon and Iceland’s thermal bathing culture. This little volcanic archipelago, just off the South Coast (and an easy day trip by plane from Reykjavík), is an ideal alternative for intrepid travelers interested in going beyond the well-trod, whistle-stop sights listed above. 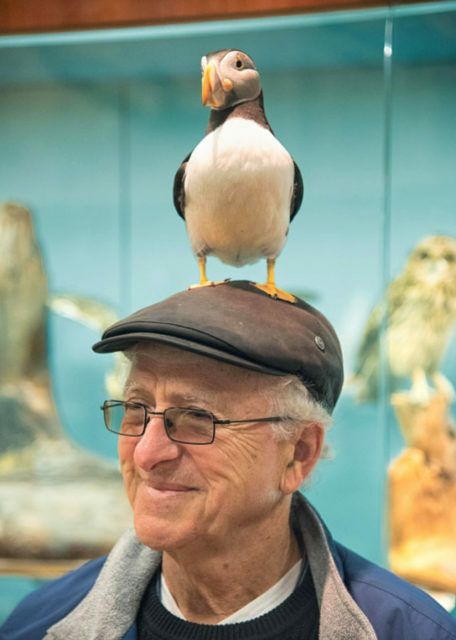 Visitors are rewarded with stunning sea-cliff scenery, dramatic tales (and lava formations) from a 1973 volcanic eruption, the biggest summertime puffin population in the world, and a real-life (and adorable) mascot puffin named Tóti. Intrigued? Check out my Westman Islands post for more details. One of my favorite corners of Iceland is the Lake Mývatn area, in the North. But that’s a seven-hour, non-stop drive each way from Reykjavík, and best done as a part of a multi-day Ring Road loop. 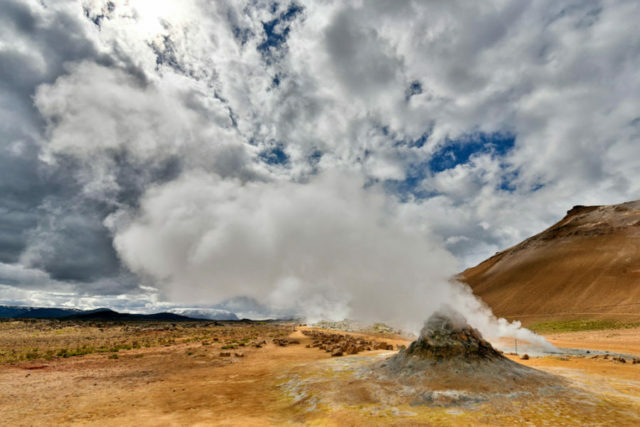 However, if you’ve got limited time, you could take a quick flight from Reykjavík up to Akureyri (on Air Iceland Connect) and rent a car to get a glimpse at this fascinating volcanic landscape. For the details, see my Mývatn post. 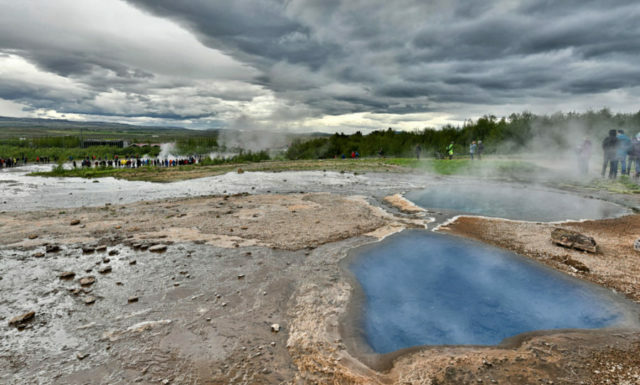 Various Icelandic companies offer excursions to suit every taste. Interested in glaciers? 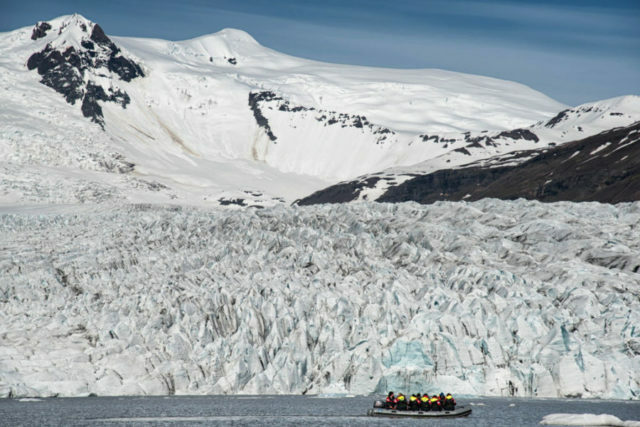 You can hike across a glacier, snowmobile across a glacier, ride a boat across a glacier lagoon, or spelunk into a cave carved into a glacier. Are volcanoes your thing? 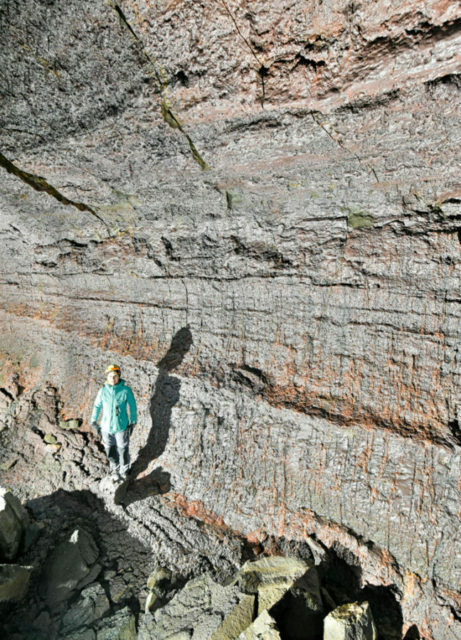 Iceland has three different volcanic caves that you can tour. Have you dreamed of seeing a puffin or a whale? Riding an Icelandic horse? Scuba diving or snorkeling in a flooded chasm between continents? Visiting filming locations for Game of Thrones and other blockbusters? Seeing the Northern Lights (winter only)? If so, there’s an excursion for you. 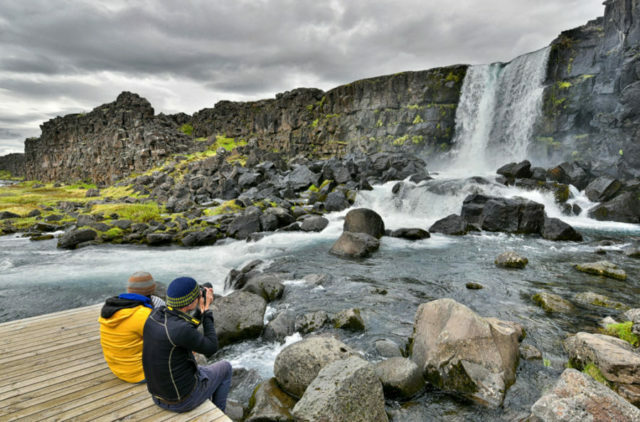 While the four day trips outlined above are of the most general interest, it’s possible to do pretty much anything in Iceland as a day-trip from the capital. 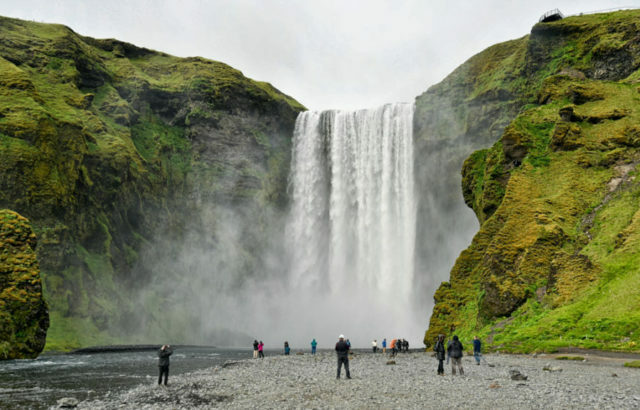 Guide To Iceland, a consortium of several tour operators, is a good place to start surveying your options. 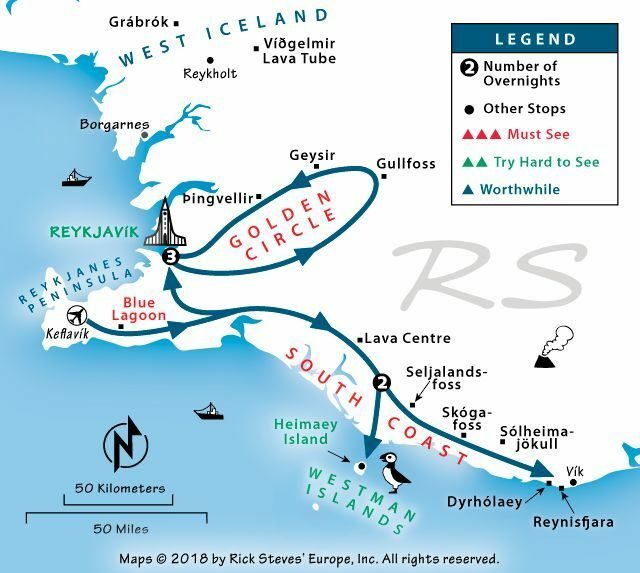 Or check out the Icelandic Experiences chapter of our Rick Steves Iceland guidebook. We spent two weeks there in June of last year so that we could enjoy the almost never-ending days of sun still easily available in the middle of the summer night! Obviously the country turns to days of darkness in the winter months as in Alaska. I am in Iceland now and toured the Golden Circle today. What scenery! It is cool here but not cold – listen to the experts and wear layers. 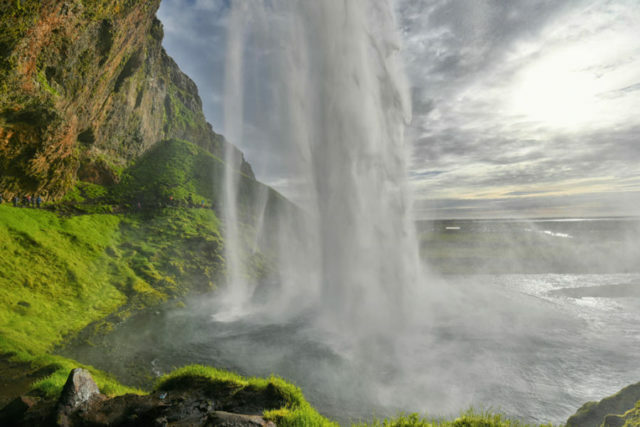 Iceland is the third most windy location on earth, and the first two are inhabitable. The food scene here is phenomenal, but plan on a fat food budget: a dinner for two can easily reach the $100 mark (without alcohol). A glass of wine or beer will run you about $10-12. The Icelandic people are very laid-back, friendly and helpful. I agree that food is expensive — and it’s not easily available everywhere. I stayed at a hotel that had a restaurant; the next available food/restaurant was about an hour away. Unsurprisingly, the prices at the hotel’s restaurant were exorbitant! It’s not a bad idea to pick up and keep on hand some non-perishable food from grocery stores that you can use as a back-up if it turns out your only option is a $60 buffet. In fact, when I travel most of my meals are from grocery stores. Much less expensive than eating at a restaurant every meal! As for when to go, that depends on what you’re looking for. However I do know that the “Ring Road” can have multiple snow closures as early as September. I recommend July-August, but it gets BUSY and does not have enough hotels for all the visitors, so get booked early if you can.